It’s difficult to scale back on things that we use frequently. Whereas someone might easily reduce how often he or she buys a latte at a coffee shop or goes to eat out, reducing how much energy you use at home is a much more difficult matter. That is…before the invention of smart home technology. Smart technology provides a simple, easy-to-use system that makes it realistic to go green at home. What year was your house built? If you live in an older home, you know that insulation is a challenge. It’s more difficult to cool an older home in the summer months and harder to warm in the winter. Wiring and other things may not function as well either, compared to a newer home. In contrast, if you own a home built on or after 2000, these homes consume 2 percent more energy than ones built prior to that year. Regardless of when a home was built, in the last three years, home energy costs have risen by 37 percent—due to the increased number of household appliances and electronic devices. The things we all love: our cellphones, tablets, computers, game consoles, TVs…you name it are taking its toll on the energy meter. Smart homes use advanced wireless technology to sync appliances, lights, thermostats, door locks, garage doors, etc. all together. Under a unified communication system, users can remotely monitor and control these home items. It may not be difficult to physically get up and turn off a light—but how often have you (or someone in your household) forgotten to turn off a light or appliance before you left the house? Plenty of times…we all have. Each year, leaving just one unconventional light bulb on throughout the night will cost $21; $35 for a ceiling fan left on high. It quickly all adds up. Remote control to your home makes it effortless to control and manage what stays on or off and what keeps running. 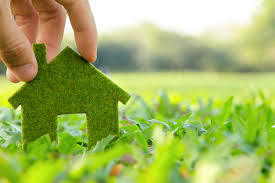 Green living is a phrase that’s used everywhere. It’s a lifestyle that centers on the conservation and preservation of our natural resources. Reducing energy consumption is not only great for our wallets; it’s also great for the environment. Using less energy helps reduce our utility bills…along with the consumption of oil, coal and natural gas.